lers jumped onboard in Whiskeytown, most of us starting riding Ryan Adams’ crazy train with the release of his first solo album Heartbreaker. And ever since, we’ve been waiting for the return, leading reviewers to alternately hail or deride subsequent albums in light of that near-perfect debut. The compensation of a very early success is a conviction that life is a romantic matter. In the best sense one stays young. When the primary objects of love and money could be taken for granted and a shaky eminence had lost its fascination, I had fair years to waste, years that I can’t honestly say I regret, in the seeking of the eternal Carnival by the Sea. But we all eventually grow up and get back to work. 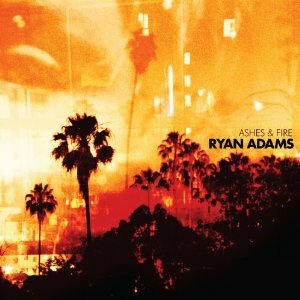 With his latest release, the lovely and restrained Ashes & Fire, Ryan Adams delivers on the promise we glimpsed on Heartbreaker. That’s not to say it’s as good—or heaven forbid, better!—than Heartbreaker but that it shares the same focus on finely crafted songs, simple production and a welcomed lack of pretense. It’s simply a good album from a great American songwriter, and isn’t that what we’ve always wanted? Jeez, you couldn’t TRY to make it sound more boring!